Back to the beautiful memory that is Argentina. 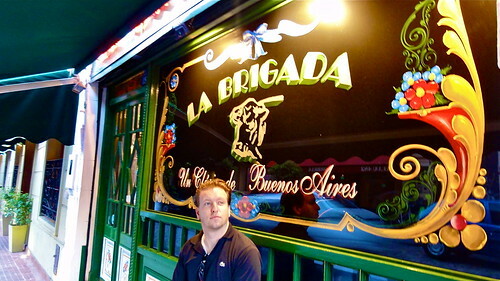 By far the biggest chunk of our time in BA was spent in the neighborhood of San Telmo. This wasn’t planned, but a series of events and coincidences kept taking us back there. The area’s history is readily visible in the beautiful yet crumbling buildings. 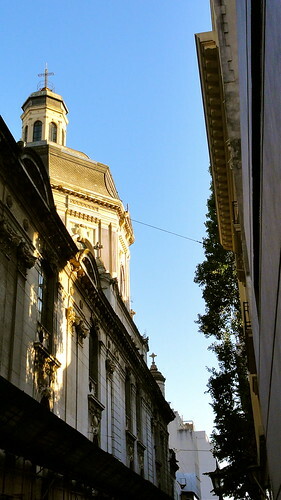 There have also been efforts at renovation, which have restored a lot of the area’s charms. 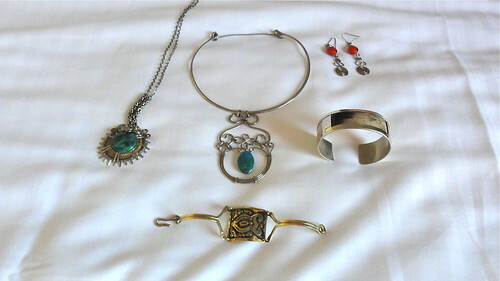 Nowadays, its cobblestone streets are lined with cafes, boutiques, art galleries, antique shops, and funky street art. 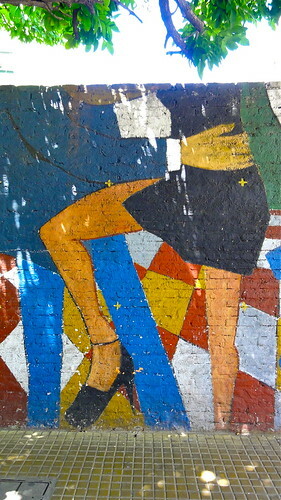 And of course, it is still a good place to watch some tango. 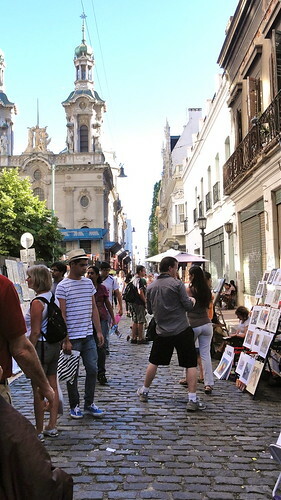 On Sundays, San Telmo plays host to a giant street market. I love markets and have been to my share, but this one is particularly impressive. It is huge. 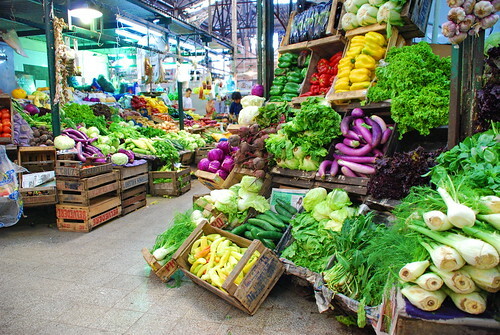 The market is centered around Plaza Dorrego, radiates out around it, and then stretches down Calle Defensa for many blocks. 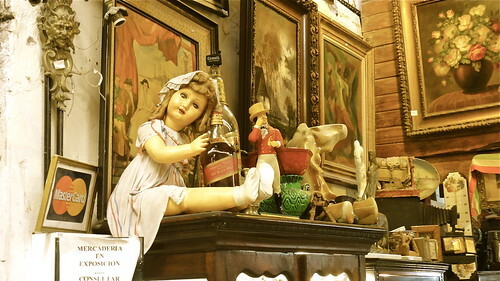 It is definitely touristy, but also a great place to pick up your gifts and souvenirs, as you’ll find more antiques, artisan crafts, leather goods, and interesting jewelry, rather than your average “I Love Buenos Aires” T-shirt. 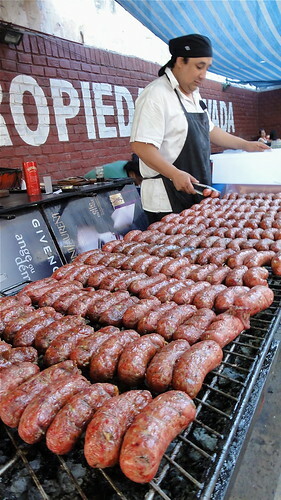 If you can’t make it on a Sunday, you can find a much smaller version condensed into the San Telmo Market. 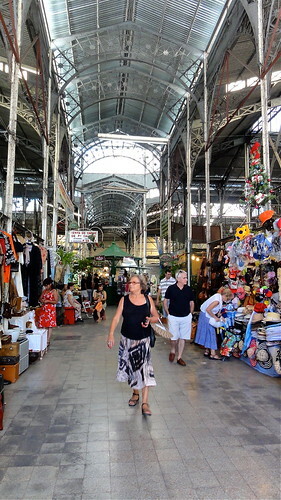 The market’s building is worth seeing in and of itself for its dramatic wrought-iron beams, but you’ll also find food stalls and antiques of all kinds. 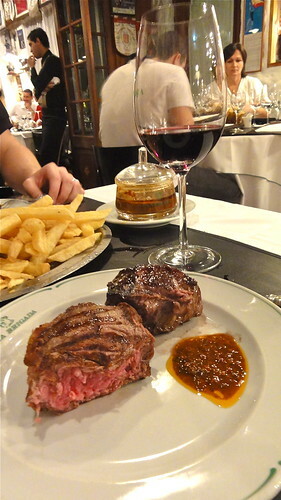 It is easy to find good eats in San Telmo. If you’re planning on spending the day at the market on Sunday, I’d recommend fueling up on a delicious choripan and a beer right there in the middle of the market. 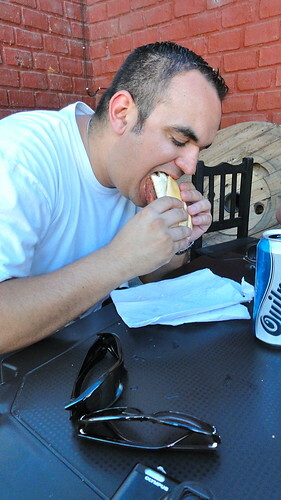 Our buddy, Tommy, dives into his choripan. 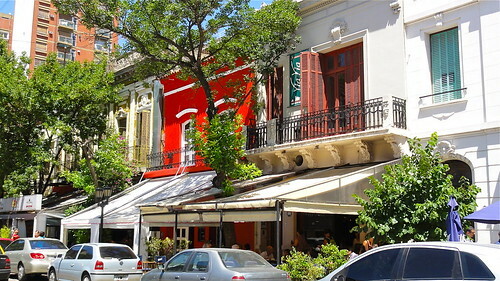 If you find yourself roaming around San Telmo on a weekday afternoon, when crowds and vendor stalls don’t have the rule of the place, stop at Plaza Dorrego and grab a table from one of the several cafes on the plaza. This is the perfect place to lounge for a while with a picada and a drink. 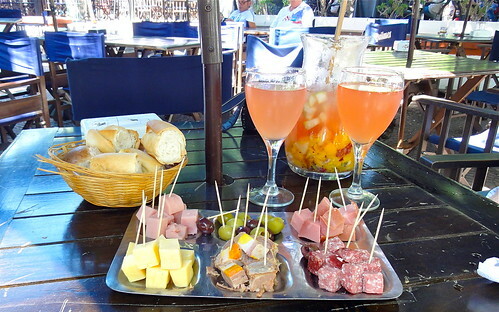 A picada is a selection of finger foods to graze on, kind of like an antipasto or charcuterie platter. 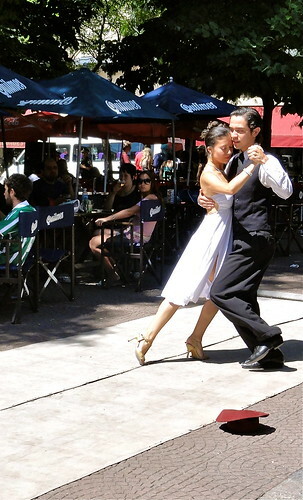 While you nibble and drink, you can watch street performers dance a tango. 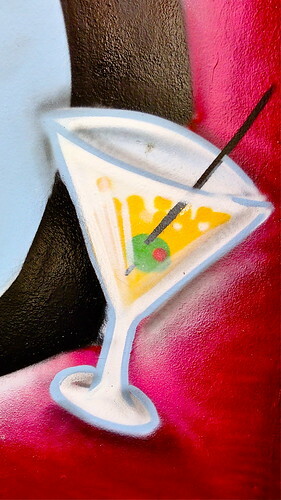 Picada and clerico, which is very similar to sangria at Todo Mundo, on Plaza Dorrego. Waiting for the restaurant to open. After a long flight and nap to ease the jetlag, we were starving by normal American dinnertime—roughly 8 p.m. This, of course, meant that we had absolutely no problem getting a table, because Porteños (people from Buenos Aires) don’t eat until at least 10 p.m. We were literally the first people in the joint. 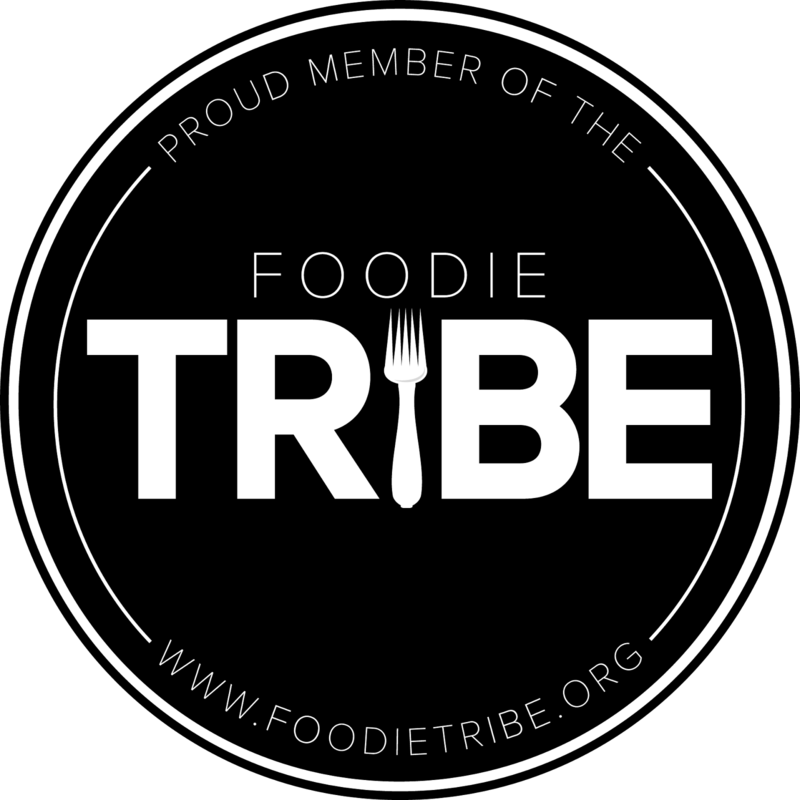 The food was great and the service here was friendly and on point. (Not the case across the board in Argentina, but more on that later.) 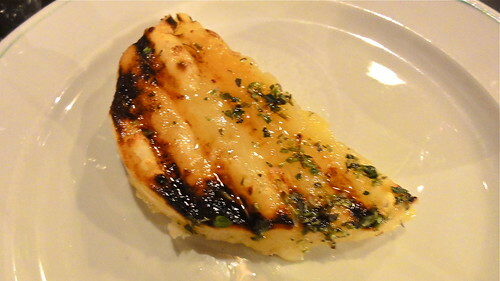 The steaks and chorizo were predictably delicious, but one more appetizer recommendation would be the provoleta—which is basically a grilled, melty hunk of provolone cheese. What’s not to like? 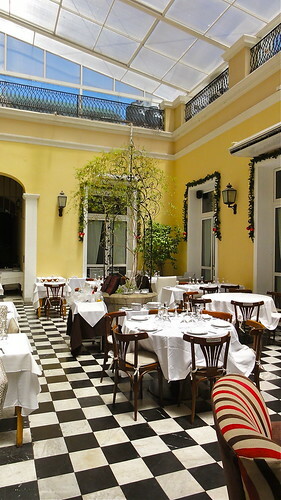 We also had a wonderful lunch at El Historico, an Italian restaurant in a historic colonial home in San Telmo. 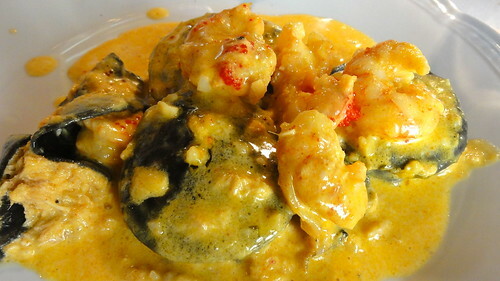 The food was very solid—I particularly enjoyed this salmon and shrimp ravioli and their garlicky broccoli. Most dishes were easily big enough to share. Again the service here was wonderful, but the ambiance was probably the biggest selling point, as the patio and rooms are beautifully decorated. 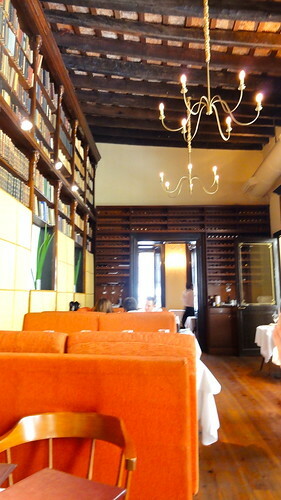 The house, the internet has taught me, belongs to the Society of Argentine Writers, which makes it all the more appropriate that we enjoyed our meal in a room that looked very much like a rich person’s library. Aldo’s: Noted for having a particularly good wine selection. 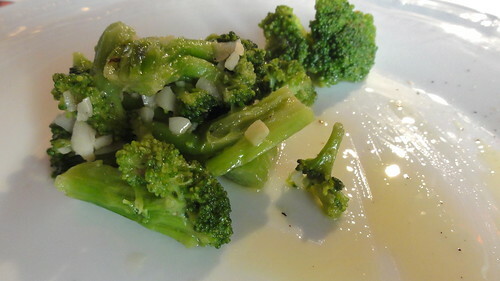 Aramburu: Molecular gastronomy, which is so far uncommon in Buenos Aires. 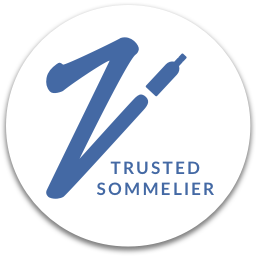 Street Address: Salta 1050 Phone: 4305-0439.